Very nice follow-up to the highly successful LP, 'Ascension.' 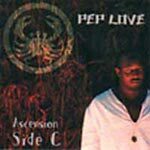 Get this one if you want to hear some more quality anthems from Pep Love. He won't let you down. Produced by: Mako, Domino, Casual, and A Plus. Extra vocals by Mako.